Before you spend money on products from a water treatment company, it’s critically important to know two things: what the quality of your water is, and whether the company offers products that are actually capable of solving your specific water quality problems, if any. The last thing you want to do is spend your hard-earned money on any product that isn’t up to the task of producing the clean, high-quality water that you desire for your family. 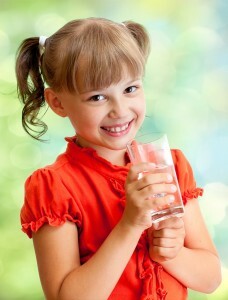 The first step to having access to better water throughout your whole house is professional water testing. Though you might be tempted to use a store-bought water test kit, the better option is to have your water tested by a public lab or, alternatively, a private water treatment company. The U.S. Environmental Protection Agency (EPA) says that routine testing for waterborne contaminants is especially recommended for those who do not get their water from public water systems. For example, if the water that your family uses comes from a private well, you alone are responsible for ensuring that it is safe to drink and use. The EPA’s authority to enforce water quality standards does not extend to privately owned water supplies such as private wells. Contaminants that can affect your water quality include coliform bacteria, E. coli bacteria, iron, manganese, nitrate/nitrite, copper, lead, and volatile organic compounds (VOCs). The second step to better water is to identify the type of system that is able to address the specific contaminants that your water contains. A reputable water treatment company will not try to sell you anything that you do not need, and should be proactive in explaining to you what treatment methods will be the most effective in light of your water quality. Ideally, you should invest only in products that have undergone third-party evaluation, testing, and certification. NSF International, for example, is an independent consumer product testing organization that establishes standards for and conducts testing on point-of-use (POU) and point-of-entry (POE) water treatment products for the home. Be sure to look for the NSF certification mark (or other quality assurance logo) when comparing different brands of water treatment equipment. For more information, contact your local authorized RainSoft dealer. RainSoft is a water treatment company that has long manufactured premium products that take the worry out of water for families across North American and worldwide.